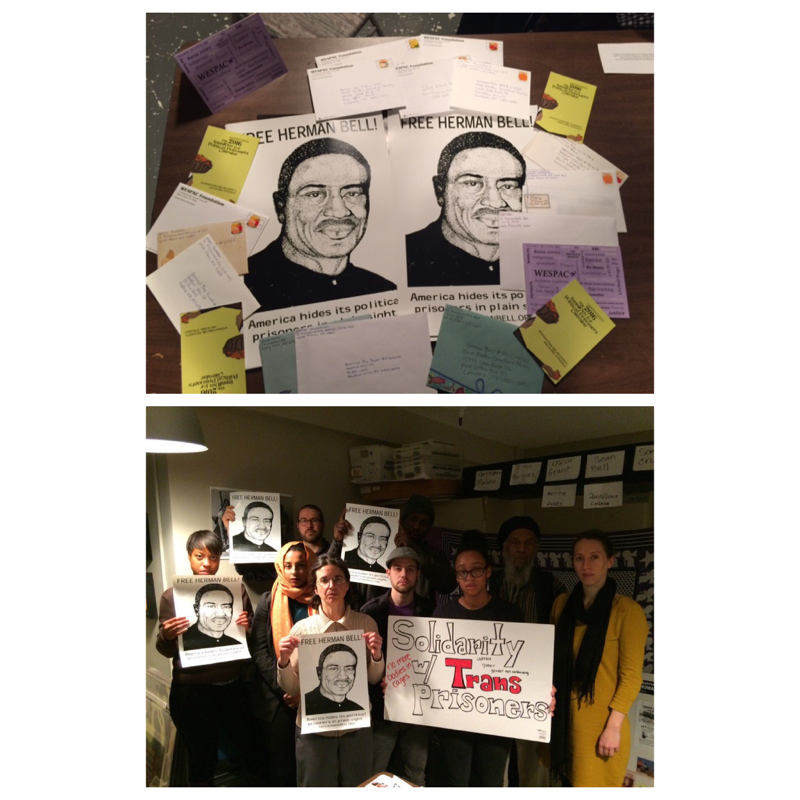 A group gathered the evening of Tuesday, January 26, 2016, focused on supporting parole for Herman Bell as well as for the First International Day of Action in Solidarity with Trans Prisoners. We wrote birthday cards to former Black Panther Herman Bell (freehermanbell.org), who just turned 68 on January 14. We watched the moving 8 minute documentary about Herman by Freedom Archives https://vimeo.com/51465733 and discussed our personal experiences and feelings around the prison system. We wrote to trans prisoners, affirming our solidarity and support, as part of the First International Day of Action in Solidarity with Trans Prisoners, which took place January 22. We learned more about the case of Rev. Joy Powell http://freejoypowell.org/, a political prisoner held in Bedford Women’s Prison, located in Westchester County, New York. We wrote to other political prisoners including Jalil Muntaqim http://www.freejalil.com/ and we discussed how to push for passage of the SAFE Parole Act http://www.parolereformnow.org/ which would reform the parole process.